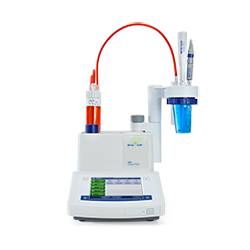 METTLER TOLEDO's Titrator family provides a complete range of autotitrators to satisfy increasing automation demands. Thanks to a wide range of accessories, our autotitrators are designed to integrate effortlessly in your sample workflow. 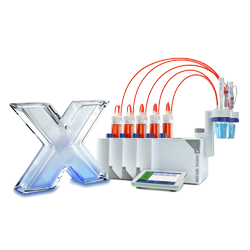 Titration Excellence line has been designed with the utmost modularity in mind to suit a wide variety of applications. 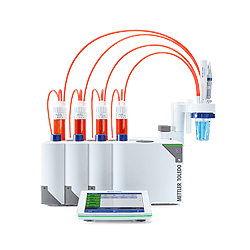 With the same user interface across the whole range of autotitrators, the One Click user interface provides a simple and secure system enabling efficient parallel titrations, switch between up to 8 eight tasks running in parallel. Karl Fischer titration is the specific standard method for the determination of water content and gives accurate and precise results within just a few minutes. Our V and C autotitrator product lines measure water content through potentiometric or coulometric titration from 1ppm to 100%. If you need to measure the sodium content in your food and beverage products, the new Sodium Analyzer makes your analysis simple and fast. Reduce sample preparation using safe and cheap chemicals while specifically and exclusively measuring sodium ions. LabX PC software simplifies daily routines both in the lab and in the office, through automatic data handling, high process security and full SOP user guidance. In addition, the built-in regulatory features assist you with achieving FDA 21 CFR Part 11 compliance. The InMotion autosampler was developed for increasing demand in automation and productivity, whilst maintaining workflow flexibility. It is designed to maximize throughput in a minimal space, and is capable of analyzing over 300 samples. 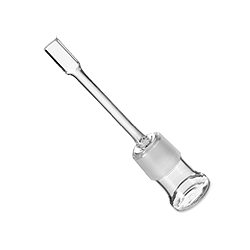 Titration Accessories by METTLER TOLEDO are more than just small parts. EasyPlus™ Accessories are for general and Karl Fischer titration. For high level needs of automation, METTLER TOLEDO provides you with a wide range of accessories, instruments and service possibilities. Browse through our website and find the best titration instrument for you. 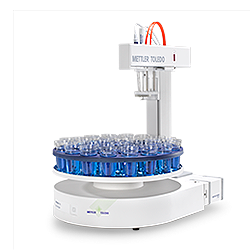 Explore modularity combined with titration efficiency and process security with METTLER TOLEDO Titration Excellence Family! 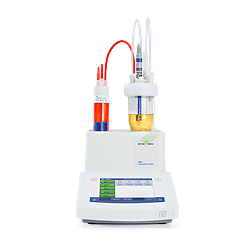 METTLER TOLEDO Potentiometric Compact Titrators are specially designed for routine applications, potentiometric titration and simple operation. Learn more here! 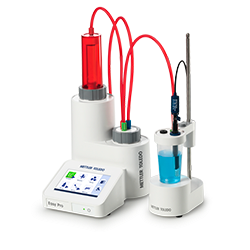 With EasyPlus Titration Family products, changing from manual titration to automated titration is easier than ever. Learn more here! Higher productivity and increased sample throughput in general and Karl Fischer titration with automated titration systems. 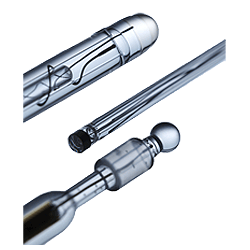 Our wide range of accessories turns your titrator into a dedicated system to solve your application. Wide range of high quality sensors dedicated to your titration application. To find your application use the filters for Sample, Analyte, Industry or use full text search. Any combination of filter and full text search is possible. Note that the full text search yields only matches that include the exact word sequence of your query. Results will be shown according to each Analytical Chemistry technology from METTLER TOLEDO products.